In a move that’s only surprising because of how long it’s taken to arrive, YouTube has announced it is bringing live video streaming functions to its mobile app. The feature will be rolling out to select creators first, but will soon roll out to everyone else. YouTube boasts that it has been offering live streaming since 2011, “before it was cool,” and was the first to broadcast a 360-degree live stream during Coachella. But these previous efforts have been limited to verified channels and required the use of the Creator Studio. The news came from YouTube CEO Susan Wojcicki at the VidCon conference in Anaheim, California yesterday. Live streaming will integrate directly into the YouTube mobile experience, so you won’t have to download new apps or set up fresh accounts, simply hit the capture button, take or select a photo thumbnail, and start recording. 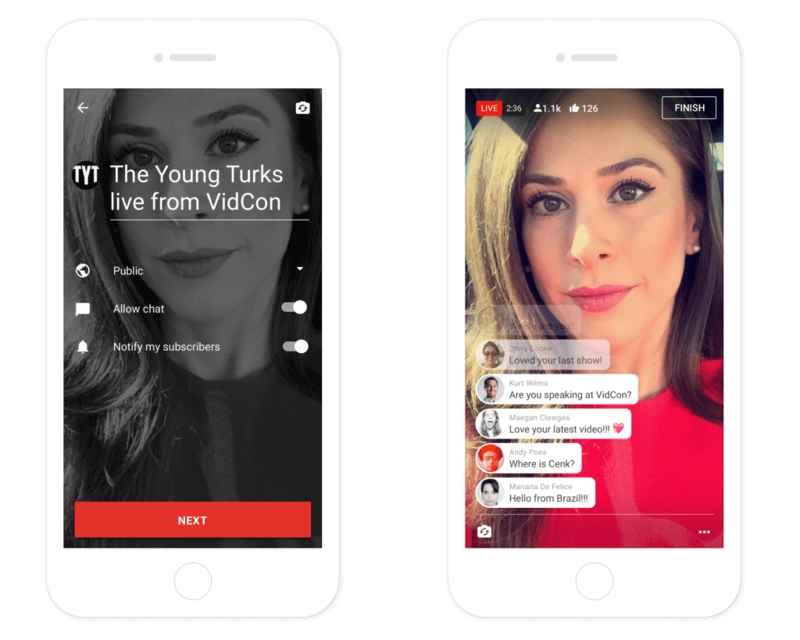 "YouTube mobile live streaming will be baked right into the core YouTube mobile app," wrote Kurt Wilms, product lead of immersive experiences at YouTube, in a company blog post. "You won't need to open anything else." Like other YouTube videos, users will have the ability to search for live streams. They’ll show up in recommendations and playlists, and you’ll be able to protect videos from unauthorized use. Moreover, broadcasters can choose to enable comments and let subscribers know when they go live. YouTube may be a bit late to the party in offering live stream capabilities to the masses, but it has the advantage of already being an established platform for video-only content. The company claims that its “peerless infrastructure” will make the service faster and more reliable than its live stream competitors. The feature is initially only available for a handful of popular channels, including The Young Turks, AIB, and Alex Wassabi, but will arrive for everyone else soon.